The muslin pattern before cutting and unpicking the seams. The first draft of the pattern was pretty good but I realized that it wasn’t fitted properly over the bust when I made my first mock-up using the pattern pieces from the draft. The necessary adjustments were made and luckily I got my friend to help me pin the dress onto me. At that point, virtually all pattern pieces were different in size but in most cases that’s actually a good thing and I’m not an exception. Like most women, my breasts are not the same size and this becomes apparent when I’m making a really fitted garment. Speaking of breasts, I bought a new strapless bra (Wonderbra really is awesome :))! Buying it allowed me to start working on the neckline. A word of advise, when possible, try to adapt the dress to the bra. It’s much easier than going on a hunt for the perfect bra that will suit that dress. When I was happy with the pattern, each part was marked with a number for the smaller parts and a letter for the larger parts. Since the neckline is very asymmetrical, I had to indicate with simple lines where the pieces should be fitted together. 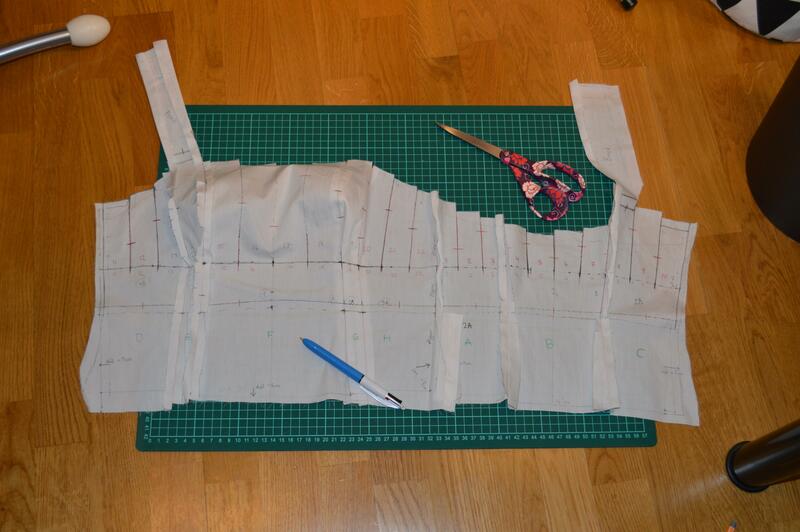 To force the fabric to lay flat, I unpicked the seams for the larger pattern pieces (A-H). However, I left the waistband in one piece since I don’t want that split into a million pieces as well. Last but not least, I transferred the pattern from fabric to paper. 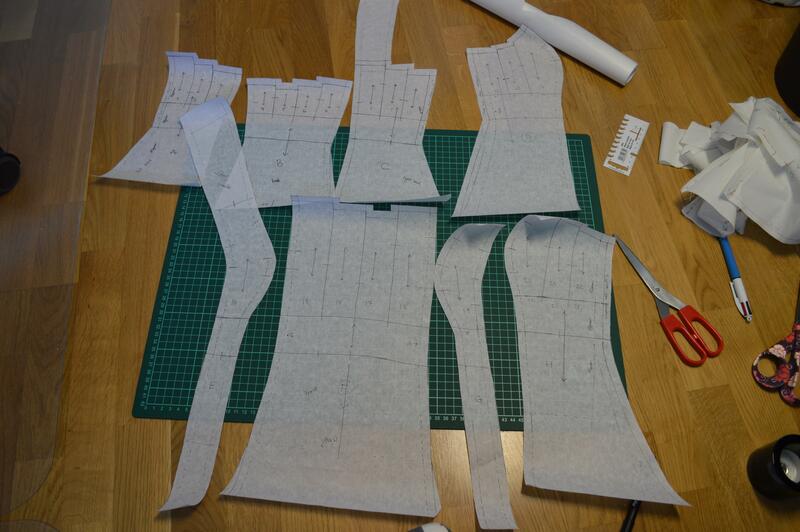 All the large pattern pieces for the dress, transferred onto paper.